Over the past few years I have taken part in many races, crewed a few events and covered a number of important duties such as marshalling, sweeping, looking after runners, filling up water bottles and popping blisters but I had never organised my own event (the annual and very informal Covea Insurance fun run aside). This was something I had always liked the idea of doing and with the closure of Ultra Tales, this has afforded me some time to launch a couple of events in my local area. Whilst we do have a number of local races with this weekends Reading Half Marathon the most significant I wasn’t aware of any local marathons (well I always seem to have to travel somewhere to run one!). Furthermore I quite like the small marathon concept; very informal, very sociable and smaller numbers mean easier logistics in terms of travel and parking for example. From an organisational perspective these are more personal and more manageable than a large scale event. I suppose I’m used to running Ultra marathon events with generally smaller numbers and its nice when the Race Director knows your name or you can casually chat with almost any other runner on the course. With the above in mind, I also wanted to have a slightly different slant on the events than the typical Sunday morning runs (i.e. early morning starts, travel and making sure you’ve had your morning ‘sit down’ before you run) and the idea of organising an off-road evening trail marathon over the summer months was born and the “Saturday Night Marathon” name came soon after which seemed to some up the vibe of the events. The next step involved finding a route, venue, seeking permits, permissions and organising all the legal necessities of setting up a company and I won’t go into too much detail about this here. I settled on a route of multiple laps of an “out and back” course along the Thames Path in Reading to keep things very simple for the first events. I would like to add one or two more locations and events in time to offer a bit of variety but definitely approaching this on a step by step basis. I also have some ideas for some smaller Ultra type events which are perhaps not quite as wacky as the Piece of String or the Bingo Race which is being run for the first time today (Good luck guys) but definitely have some ideas for certain themes. Organising these races as a starting point helps me build some infrastructure and resources to plan these in the future although insurance will still be the love of my life from a work perspective and running will always be an enjoyable hobby. Insurance people are generally too risk averse to setting up brand new ventures and enterprises! The event will start at the Wokingham Waterside Centre which many Centurion Runners will know as the Reading Aid Station for the Thames Path 100 & Winter 100 and this was the perfect venue for the start and finish with parking, changing facilities and an indoor location. The theme for these events is definitely going to be small, sociable and friendly. 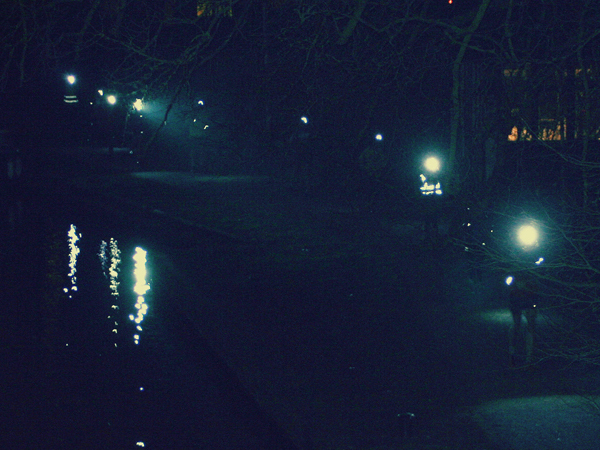 A trail run, during the evening and at night is not intended to be a “fast” marathon event. I would love to people to attend and just enjoy the run, the scenery and to socialise with other runners and I hope that comes across from our website. 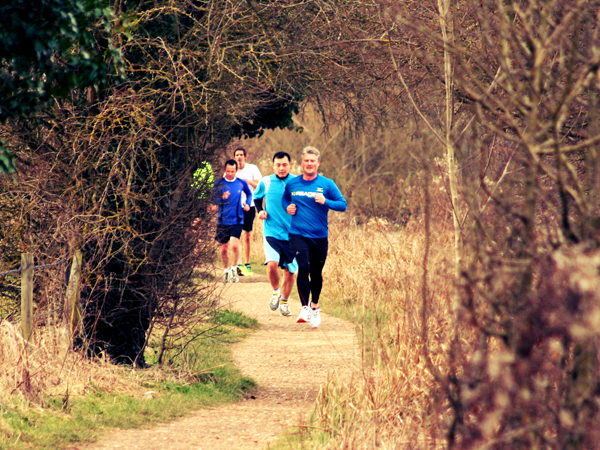 I have to thank a few work colleagues from Covea and my local running club the Reading Joggers for meeting me for a few runs and allowing me to take a load of pictures for the website. Numbers are planned to be limited for each event due to the size of the venue and desire to not have too many people using the path which will also be open to the public. However, to widen the appeal of the event I decided to organise both a Marathon and Half Marathon event on the same day but with different start times which could provide runners with the opportunity to take part in a Half Marathon and build towards a full Marathon at a future event (we will get them into the Ultras later!). If you want to experience some summer evening trail running then the Half Marathon starts at 8pm, the Marathon starts earlier at 5pm and I’m aiming for everyone to be finished by pub closing time at 11pm.. hence the Saturday Night name! The website has now gone live and entries have started to trickle in although I will now have to do a bit of work getting the events listed on the usual websites and some promotion so people hear about it. With a number of large running clubs in the locality (Reading Joggers, Reading Roadrunners, Newbury Runners and Bracknell Runners not to far away) hopefully this will attract some local attendance. I guess it remains to be seen whether the theme of these races will catch up with the Marathon regulars but part of organising a race is to see what works and what can be improved for future races. If you are interested in looking at the website, then please visit www.saturdaynightmarathon.com Hopefully, I may see one or two of you at future events.